Carnegie: Magic Detective: The Nemca/Yankee Gathering Registration is Now OPEN! The Nemca/Yankee Gathering Registration is Now OPEN! This year's Guest of Honor will be Mike Caveney. 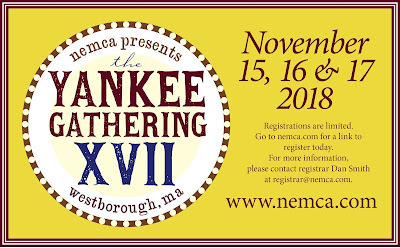 For three days, the Yankee Gathering offers a full slate of informative and entertaining presentations from world-class experts in magic history and the collecting of magic apparatus, books, and memorabilia. Space is limited to 200 attendees, so make sure you register early!